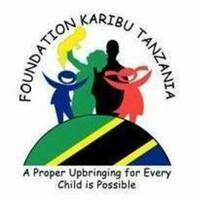 Foundation Karibu Tanzania (FKT) is a non-governmental organisation in Mwanza, Tanzania with the vision to enable a society in which every child is safe at home and enjoys their rights. Our mission is to eradicate Child Domestic Violence and advocate for children’s rights in Tanzania. Manon Fleury, a Canadian psychotherapist and the founder of Foundation Karibu Tanzania, arrived in Mwanza Tanzania in 2005 with the wish to volunteer in an orphanage for two months, during which time she witnessed domestic abuse against children. In 2007, she returned as a missionary to conduct an 11 month baseline survey which uncovered the growing phenomena of Child Domestic Violence (CDV) in Mwanza. The baseline survey has shown that the perpetrators of child domestic violence are predominantly those closest to the child since domestic violence has become culturally accepted as a way of rectifying a child's behaviour. Motivated with the belief that it is every child’s right to grow up in a safe environment, Manon Fleury, Benard Makachia (the current Executive Director) and other founders decided to establish Foundation Karibu Tanzania with the ambition to eliminate corporal punishment and to break the silence which surrounds this taboo. It is our goal to support children who have experienced domestic violence and to prevent more cases of domestic violence against children. Hence FKT opened a temporary shelter for severely domestically abused children and it is important to us to directly rescue the children and provide them with the necessary medical care until they have physically recovered. Child domestic violence may also have a profound impact on the emotional and behavioural health of the children as well as the social development throughout their lives. This is why it is important to Foundation Karibu Tanzania to also support the rescued children emotionally. In cases of willing abusers, we simultaneously provide counselling for the parents/ guardians and the recovering children, during which we enlighten them about the fundamental rights the child has, in order to ultimately reintegrate the child within his/ her reformed family which has, by then, become conducive for the child’s development. In order to ensure that the child continues to grow up in a safe environment after they have been reintegrated into their home, we implement regular follow ups in the communities. Prior to the creation of Foundation Karibu Tanzania no organisation existed in Tanzania to adequately address the issue of Child Domestic Violence. FKT is the first and up to now the only organisation in Tanzania that opened a rescue centre (temporary shelter) for domestically abused children providing them with the needed medical and psychological care. Moreover, we aim to extend our work with the community for we believe awareness raising activities are part of the preventive measures that have to be taken to eradicate child domestic violence. We are convinced that we can no longer only wait for child abuse cases to occur for us to respond to. Instead Foundation Karibu Tanzania works towards the goal of eliminating child domestic violence to a great extent by creating more awareness in communities. It is our belief that child domestic violence will end due to awareness raising programs during which we strengthen and inform the communities about the fundamental right every child has and should be able to experience.